Business insurance should never be an afterthought. After all, a good insurance package protects your business financially when things go wrong and gives ongoing peace of mind. However, too many businesses don’t have the right level of insurance in place and assume they have everything covered, only to get a nasty surprise at claim time. 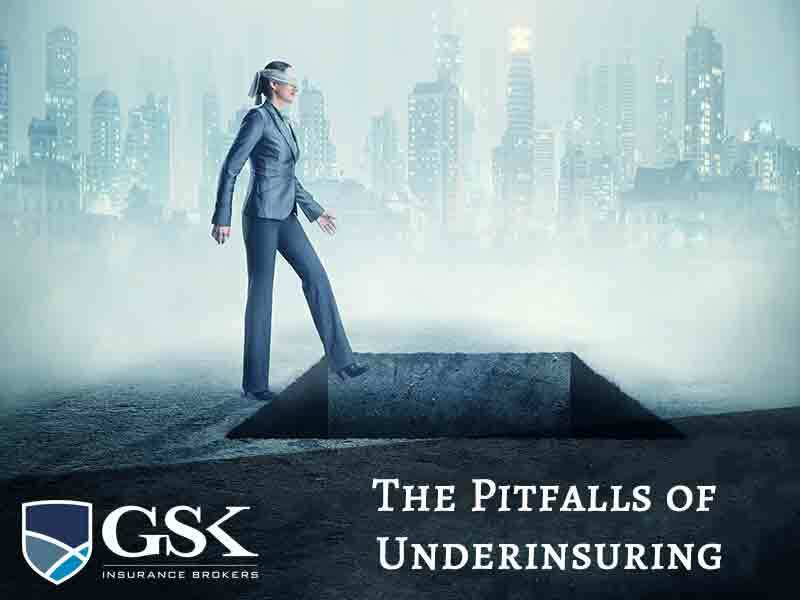 Today, we’re taking a closer look at underinsurance and how you can avoid it! Why are so many businesses underinsured? In many cases, a business may not even know that they’re underinsured and it’s not until they claim that they realise that don’t have sufficient cover. You could have the right policies in place but not have certain events covered. For example, if you live in area which is prone to flooding or other natural disasters, always ensure these events are attached to your policy. You may also have underestimated the replacement value of your business assets which could see you out of pocket if the insured amount doesn’t match the actual value. Lastly, you may not have sufficient policies in place to cover your areas of risk. There are times when a business may purposely avoid taking out a comprehensive insurance package or undervalue their assets to avoid higher premiums. Although this may seem like a good idea in the short term, this can have serious financial consequences when things go wrong. To avoid underinsurance, it’s essential that explore the specific risks that apply to your businesses and have the right policies in place so you’re covered. If you choose only the most basic cover, you could be leaving yourself upon to serious financial consequences when something goes wrong. Once you’ve identified which policies you need, ensure that the inclusions and exclusions suit the needs of your business. One of the main areas that businesses underestimate is the value of their property and equipment. Take the time to get an accurate estimate of the total value of your business assets and ensure that your insurance will adequately cover you following an incident such as a fire. If you opt for lower cover to reduce your premiums, make sure that you’re financially able to make up the shortfall. Remember to revisit this figure each year to see if the replacement cost has risen. When it comes to underinsurance, one of the best things you can do is to contact an insurance broker. They’ll be able to make specific recommendations for your business and you can be confident that you’re covered. GSK Insurance Brokers are one of Australia’s leading brokers with a selection of insurance solutions for your business. Our business insurance brokers have the experience and industry contacts to find you an insurance package which covers all of your areas of risk. We offer business insurance across Australia and our loyal customer base is a testament to our focus on exceptional service. For experienced business insurance brokers Perth, contact the team at GSK Insurance Brokers today on (08) 9478 1933.